Zhengzhou Longding Heavy Industry Machinery Co., Ltd.
Impact CrusherIntroduction: Impact Crusher is a kind of new and high efficiency crushing equipment, it has the characteriatics of small volome, easy structure, big crushing ratio, low energy waste, big production capacity, epigranular and selevtive crushing effect. Impact Crusher is the promise equipment in future. Impact Crusher is a kind of new and high efficiency crushing equipment, it has the characteriatics of small volome, easy structure, big crushing ratio, low energy waste, big production capacity, epigranular and selevtive crushing effect. 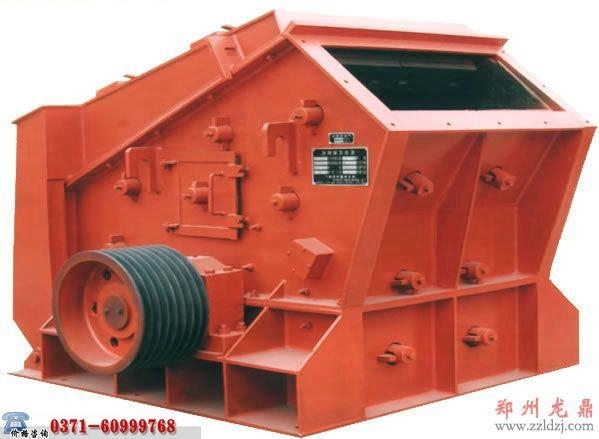 Impact Crusher is the promise equipment in future. But its disadvantages are the board hammer and impact plate are easy to wear down, especially crushing hard ores, attrition is more serious, it needs change regularly. Nowadays it appears proof material and used widely in metal dressing plant. Stone Materials fall into the high speed turnplate from the upper of impact crusher, under the high speed centrifugal effect, the stone materials produce high speed impact and high density crush with the slungshots that bypass flow the turnplate that in umbellateform, after the stones impacting each other, it can make more time of mutual attack, rub and smash between turnplate and main case, discharge form the bottom. It forms closed circulate, use the screening machinery to control the required granularity.